With over 40 years of experience in moving households and businesses alike, Coast Valley Moving & Storage, Inc. is proud to be one of the premier Dana Point moving companies serving the community. As an agent of Wheaton World Wide Moving and an AMSA ProMover, our Dana Point movers uphold strong values of customer satisfaction and quality service. Whether you are moving just down the street or halfway around the world, you can rest assured that your belongings are in good hands. When you are planning a relocation, it is important that you work with a professional moving company that can offer you all of the services you require – regardless of the size and distance of your move. Our professional Dana Point movers have the tools and support necessary to relocate you virtually anywhere – with ease and efficiency. From the most basic moving services to full-service packing and specialized shipping, we customize your relocation to best suit your needs. As Interstate agents of Wheaton World Wide Moving, our professional Dana Point moving company offers the resources and skills required for a successful relocation in town or out of state. Our dedicated professionals perform relocation services to virtually any destination. From the very beginning, we work with you to design a move that fits your specific needs. 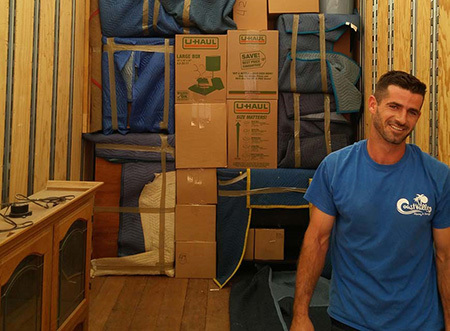 Local Moving in Dana Point: Our local Dana Point movers offer individualized services, including partial- or fragile-only packing, hauling, deliver, unpacking and debris removal – with your services selected based on your specific requirements. Interstate Relocation from Southern California: As a Wheaton agent, you can rest assured that our interstate movers in Dana Point provide the same level of quality service whether you move to Arizona or Alaska. Coast Valley provides all of our valued customers with a personal Move Coordinator to help guide you through the moving process and address any concerns you may have along the way. Quality customer service is our top priority, so you can guarantee that our move coordinators and our team of professional movers in Dana Point will work tirelessly to ensure that your relocation is smooth and seamless. To learn more about the many commercial and residential moving services we can offer you, get in touch with Coast Valley Moving & Storage, Inc. Our friendly, knowledgeable professionals would be happy to help you begin the moving process. You can also fill out our online form to receive your free moving estimate from our Dana Point movers today!